Gendered public toilets can kiss my arse. Really. 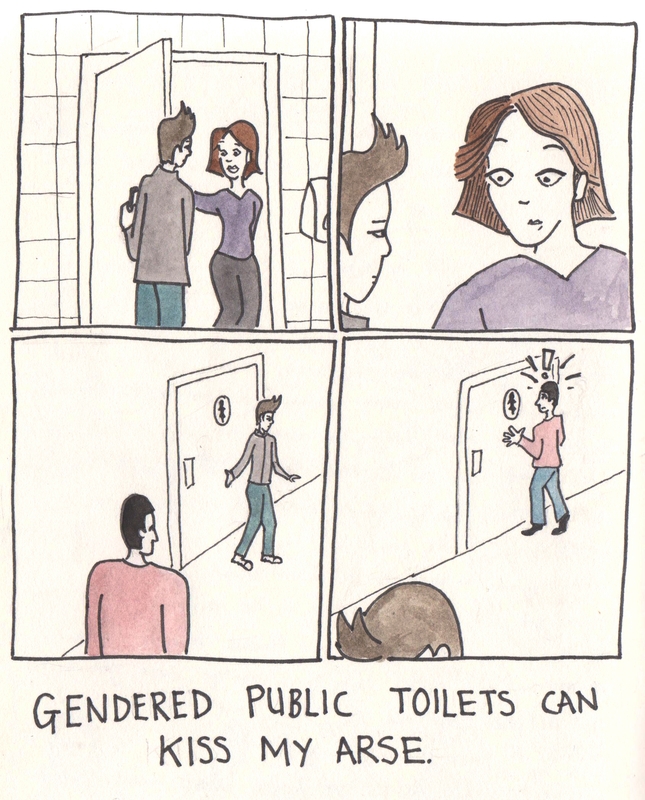 I understand the need for people to feel safe in public toilets. I do. But they are a place where I am made to feel like my body and my presentation are inadequate. I know that pretty much all women are made to feel like that by society pretty much all the time, but it’s not, for the most part, in terms of whether or not you’re actually a woman at all. And as a cis woman I know I have a whole bunch of privileges in spite of being misgendered all the time. But I wanted to express that it makes me angrysad. Agree! However, not sure I blame the toilets as much as the single dimension idea of what ‘women’ look like that so many other women have. See also, trying on a bra and buying tampons.